Bec Evans is a consultant on innovation and the co-founder of Prolifiko, a digital coach that helps writers to be productive. Formerly Head of Innovation at Emerald Group Publishing, Bec was a judge for the FutureBook Awards 2017 and writes a monthly column for The Bookseller. She was selected as one of Business Cloud's Top Female Founders of Tech in 2017 and is a regular public speaker and facilitator for lectures, workshops and webinars. 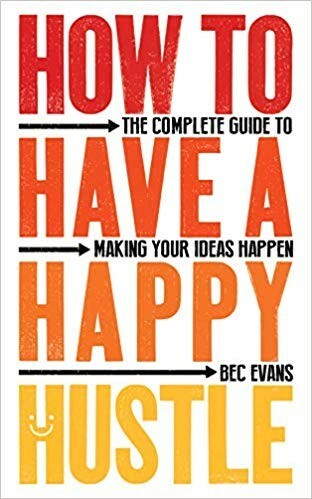 Her book How to Have a Happy Hustle: The Complete Guide to Making Your Ideas Happen is published by Icon Books (2019). In it she shares secrets from innovation experts and successful start-ups that you can use right now to come up with life-changing ideas and get them off the ground. Focusing on building both the right mindset and practical skills, its three-step approach guides you to have, hone and implement your ideas - whether you’re looking to solve problems in your current job or develop a side project.